Lyft and Uber are everywhere of course, but that’s a given. Scoot Networks have electric scooters and electric motorbikes dotted around the city. Skip is also around, but they are limited to the smaller machines. Then, you’ve got the amazing JUMP Bikes which I love. I think dockless is the way to go, as it makes leaving a bike exactly where you want a breeze. If you can’t find any of the above, the tried and tested bike sharing scheme by @fordgobike is a good option, but you have to walk to and from the bike dock. I think consumers are spoilt for choice, and it’s a good thing because it makes for fewer cars on the road. 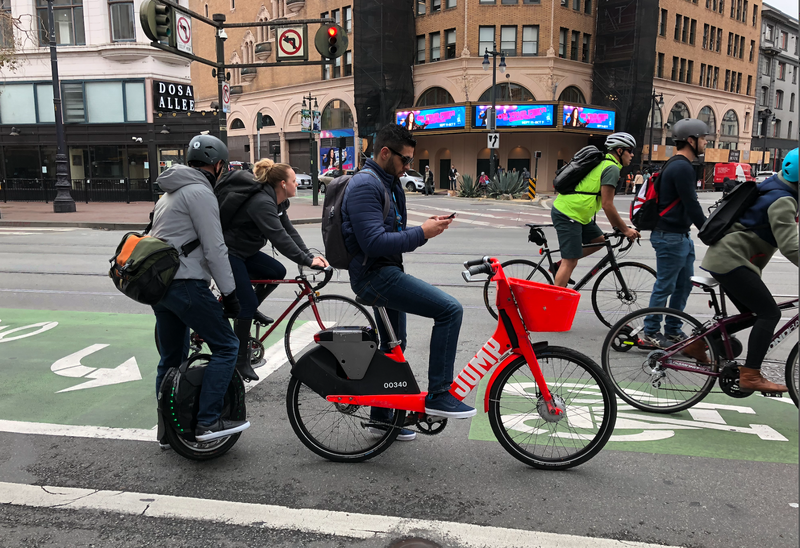 It was sad that the city of San Francisco removed Bird and LimeBike last year, as there is a huge need for more scooters in the city. I get to meet a lot of great founders from small startups to some of the leaders in bigger organisations like Lyft and Waymo, but there are many smaller companies that are growing quickly all over the world, an in particular in Germany. 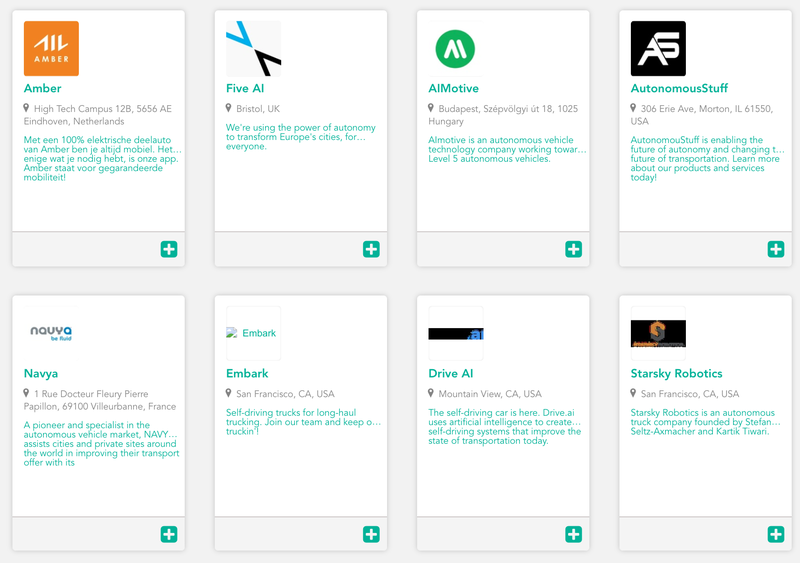 To keep track of everything that’s going on, a tool I use is Proven (a marketplace creator) and so I have created a database of the latest up and coming companies in the self-driving and mobility industry. If anyone wants to add to the list, please do Thanks to Alex Kiltz for sending me his list of German startups. Every year, I run a conference on the future of mobility called MobilityX. It the most fun I can have while also doing work. We like to get a bunch of great founders together along with investors and suppliers and throw them together using extreme sports like kitesurfing, mountain biking and hiking. This year, Lyft will be joining us, as well as NVIDIA AI, Ford Motor Company, AutonomousStuff, Designated Driver, Audi, BMW and many more. It takes place in Killarney in Ireland on May 2–3, with our private VIP Conference taking place on the weekend of May 4–5. I will be keeping track of all the great companies that are emerging in this space, and if you know of any, please let me know.